HOLD HARMLESS RELEASE: In applying to surf in Surf Dreams Foundation surfing tournaments and events, I promise to inspect the contest site and assure myself that the area is safe for surfing, and further agree that I will not surf in the contest unless I am satisfied that the area and conditions are safe for surfing purposes. In exchange for the Atlantic Surfing Federation’s acceptance of my entry form, I voluntarily agree to assume all risks incident to the sport of surfing. I fully understand and comprehend the dangers of surfing created by the sharp edges and fins and natural buoyancy of the surfboard when they are acted on by the powerful forces of the ocean and ocean waves. With full knowledge, comprehension and understanding of these dangers, I voluntarily accept and assume all risks involved in the spirit of competitive surfing. I intend to be legally bound, hereby, for myself, my heirs, executors and administrators, hold harmless and release and forever discharge Surf Dreams Foundation, Atlantic Surfing Federation, Surfing America, any State and Local government agencies, and all sponsors and sponsoring agencies, their members, agents and any officials connected with this competition, from all liabilities for injuries and damages whatsoever, arising from my presence or participation in the above described event(s) and do hereby grant the sponsors such release as described herein. 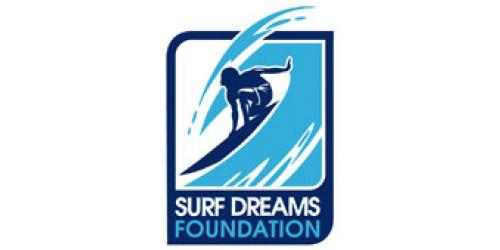 I understand that the Surf Dreams Foundation and Atlantic Surfing Federation responsibilities to me are limited. I further grant Surf Dreams Foundation and Atlantic Surfing Federation, Surfing America the right to photograph, film, or videotape me, without compensation to me and to use any such photographs, film, or videotape for any commercial purposes it chooses including, but not limited to, posters, flyers, trading cards, television and internet broadcast, and all forms of licensing or advertising. 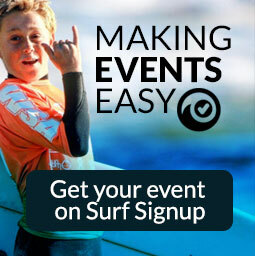 I agree that before entering any Event I shall sign and be bound by all release forms prepared by Event operators and sponsors, and, in addition, that I shall comply with all rules and regulations of each event that I shall enter, and with the Rules of Surf Dreams Foundation, Atlantic Surfing Federation and Surfing America. I understand that I may be denied entry into an Event if this General Release and an Event Release are not signed by me. a. Waive, release and discharge any and all claims that I now have or may, in the future, have against Surfing America, the Atlantic Surfing Federation, Surf Dreams Foundation any State and City government agencies, their officers, directors, members, employees, volunteers, and agents, or any one or more of them or their executors, administrators, heirs, next of kin, successors, or assigns (the "Release’s"), including any and all claims for damage or personal injury causes by the negligence of any of them, arising out of my participation or attendance at an Event or function, prior to, during or after the Event or function, including the Banquet, including claims resulting from the use of my surfboard and related equipment in any event and related activates, together with any costs, including attorneys' fees that may be incurred as a result of such a claim, whether valid or not; and I hereby acknowledge that the sport of surfing, and competition in such sport, is or may be inherently dangerous, due to conditions beyond a surfer's control, and that my participation in an Event may, in certain instances, involve risk to me of serious injury or even loss of life. b. Indemnify, hold harmless and reimburse for future losses and Releases and each of them, against any such claim that I or anyone or more of my or their executors, administrators, heirs, next of kin, successors, or assigns may assert, and against any costs, including attorneys' fees, with respect thereto. Such indemnification shall extend to any claim that might be asserted by others against me that also names the releases.